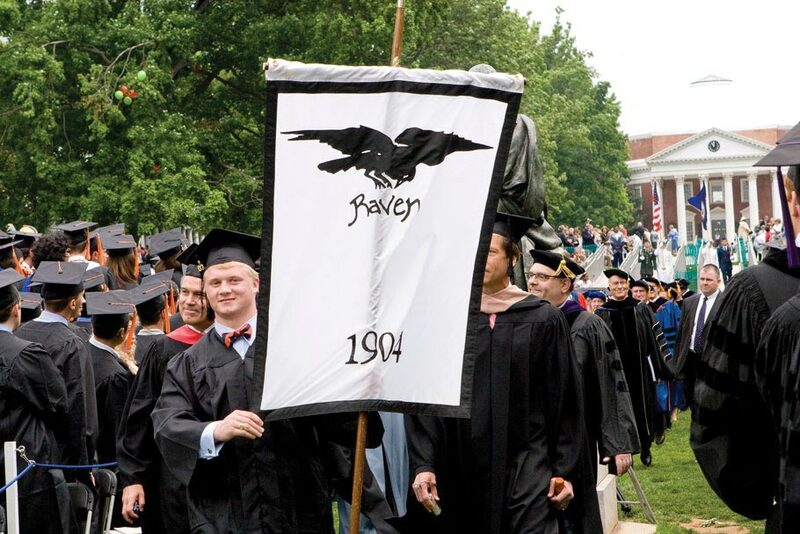 In the 101 years since UVA President Edwin A. Alderman charged the Raven Society with the upkeep of the Edgar Allan Poe Room, a Raven Society member has swept its wooden floors and dusted its antique furniture. This year, the humble task falls to Lawson Anderson (Col ’09). He wipes the fingerprints from the glass door of Poe’s old dorm room, the ever-unlucky No. 13, on the West Range. “People smudge the glass when they look in,” Anderson says. Indeed, if one looks closely, the door is mottled with the imprints of the cheeks and chins of the curious. If the audio recording that narrates the story of Poe’s time at the University won’t play, it falls to Anderson to make sure it’s fixed. During Family Weekend in the fall and Garden Week in the spring, he is there to open the glass door for visitors. It’s a job that most people don’t know exists, and it certainly isn’t a post that Anderson ever expected to have. But a few years ago, he was tapped to become a Raven member and received a cryptic letter inviting him to attend a midnight initiation. Fewer than 30 members are invited to join the Ravens each year. Last year, Anderson was elected vice president. A New York Times article about the Poe Room from 1912 claimed that during Poe’s residency the room’s walls were decorated in crayon drawing. Now the walls are white and the leather-bound books on the desk and windowsill aren’t the Latin or French texts that Poe might have studied, but collections of his macabre stories and poems. 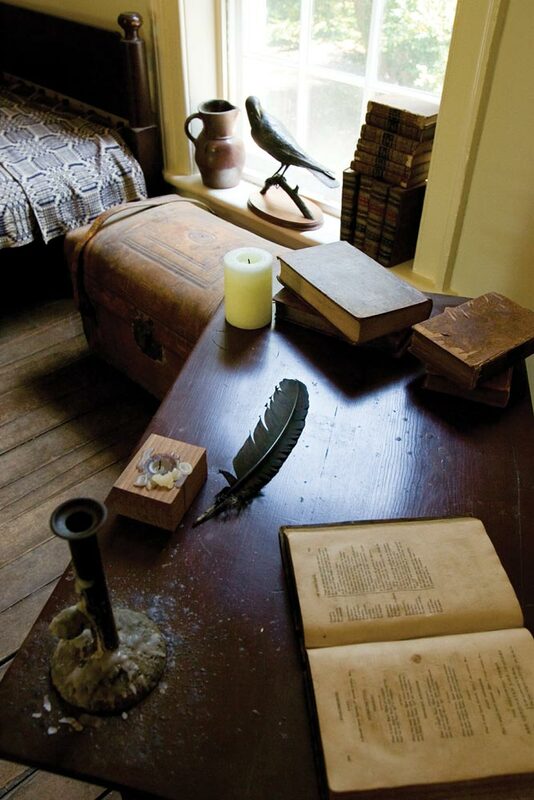 The Raven Society uses the room for its annual initiation ceremonies, during which there is a reading from Poe’s work and new members sign with a quill pen in a book of names. They also take an oath of selfless service. Anderson’s service includes battling the dust that eddies around the sharp angles of the wooden washstand and memorizing the book of Poe history and mythology that is kept hidden behind the Poe Room’s door. In 2009, UVA’s Special Collections Library will mount an exhibit to mark the bicentennial of Poe’s birth. Please correct the statement referring to the ‘wooden chest’ shown in your photos, the leathert trunk shown has two leather binding straps and a large brass hasp and will open to reveal a second tray. This trunk was manufactured in Baltimore, date not certain. I own a trunk of this manufacture and exact appearance. We are are grandparents of two granddaughters who lived on The Range and several other family members who are University of Virginia graduates. We have fond memories of strolling the campus.